Another one that has piqued my interest is Devilman Crybaby, based on the series by Go Nagai. The ten episodes tell the story of a world taken over by demons. Oh, and definitely Rilakkuma Series, based on the popular character. Also look out for Cannon Busters; created by LeSean Thomas (The Boondocks' co-director) it follows a droid, a discarded maintenance robot, and a fugitive. B: The Beginning – a twelve-episode crime thriller by Production I.G. and debuting next spring. Fate/Apocrypha – 25 episodes long, this addition to the Fate series premieres in North America November 7 and in Japan on December 2. Sword Gai: the Animation – another fantasy series, this time with more action! A Normal Lost Phone remains one of my favourite games of the year, and I think we all know what an amazing year for video games 2017 has been to date. Amongst all the flashy AAA titles (many of which I have played and enjoyed, don't get me wrong) this one iPhone game is the one that still haunts me. The story of someone you learn via their lost phone, the game is incredibly effective at conveying contemporary LGBTQ issues. I am beyond thrilled to say that the same development team – Accidental Queens – is bringing another story to light in the same form before the year's end. Another Lost Phone puts a virtual lost phone into the hands of the player... user? Use different applications to progress through Laura's story via her personal and professional lives. The story will tackle difficult topics and social issues by using the player to bridge real life and Laura's fictional world. It's safe to say that Another Lost Phone will bring the same innovative structure to a new story that will will blur the lines between fiction and reality. I remember playing the first title and struggling with trying to use my phone's shortcuts in-game, which shows how intuitive it is and is actually something I admire. I also honestly felt like I had picked up someone else's phone, which is quite surreal. Who is Laura, and how did she lose her phone? Another Lost Phone will launch for PC and Mac via itch.io, as well as for the iOS App Store and Google Play Store. The VR update for Dead or Alive Xtreme 3 is finally live for English players! It has been many, many, many months late, but the VR update for Dead or Alive Xtreme 3 is finally live for the English language version of the game. Released a fair few months ago for the Japanese release, us English-speakers had all but given up on being able to see our favourite ladies in VR, before this surprise release. Koei Tecmo must have known it was my birthday, because this is an absolute gift. Through the VR update, you can enjoy the game’s photo mode in VR, as well as the various cut scenes that you unlock through playing the game. 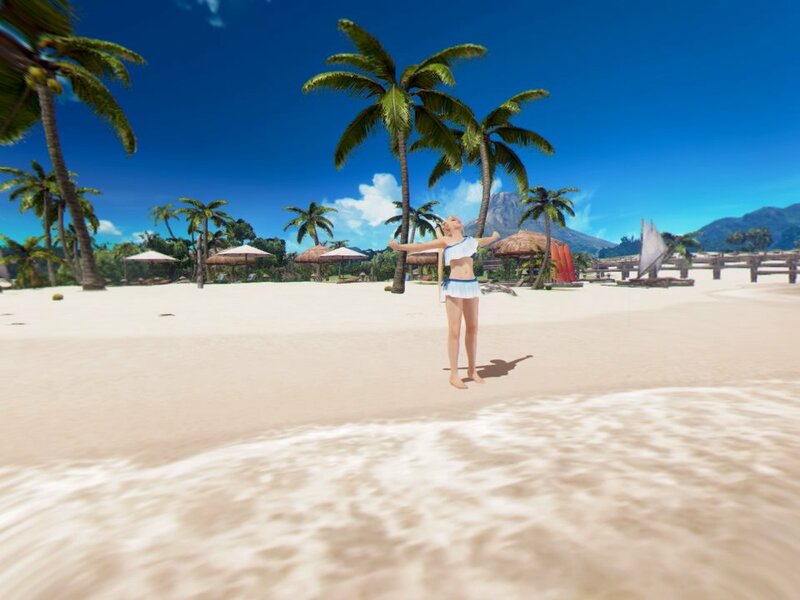 The main game itself is not in VR, note, but – and I swear I’m trying to sound as un-sleazy as possible – through the VR mode you can view the girls from any angle, move around them, and then look around the tropical island that they’re holidaying on in a way that hasn’t been possible before. I’m actually a little disappointed that Koei Tecmo hasn’t added a free roam mode into Dead or Alive Xtreme 3 now. This island really does look like a paradise that that’s something I hadn’t really taken note of before. And, sure, it’s all very voyeuristic to have a mode dedicated purely to looking at these girls in various swimsuits, but it’s my VR unit and I’ll use it for whatever I want, damnit! More seriously, what this VR mode does show us is that Koei Tecmo really understands how to make VR work. I honestly could not believe how incredible the character models look. Once the publisher starts applying it to games with actual gameplay… I can easily see Koei Tecmo becoming a real leader in VR development. Idea Factory’s next game featuring the luscious ladies of the Hyperdimension Neptunia series is Cyberdimension Neptunia: 4 Goddesses Online. Developed by Tamsoft – the developer behind most of the action JRPG spinoffs from the series on PlayStation Vita – Cyberdimension Neptunia is a parody/homage to MMOs, from raids through dungeon crawls. It’s not really an MMO, it’s just designed to feel like one, but as the first action JRPG set in the series on PlayStation 4, we’re looking forward to this one a great deal. All your favourite main characters from the series show up (though of course Blanc’s all you really need), and then there are a couple of new characters to enjoy as well. Each character has their own “class”, in fitting with MMO conventions, so it’s going to be interesting to see how this changes things up – with Hyperdimension action games in the past each character has has the same basic role – whalloping enemies. We won’t have long to wait: the game releases in “Winter 2017,” or Summer in the west… and that means December, unless the game slips to a 2018 release date (and Idea Factory isn’t known for letting release dates slip).